(a) "The Company" shall mean James Foy Plumbing LTD.
13. 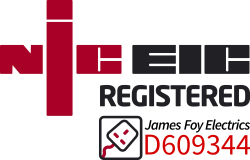 The company ensures all engineers are Gas Safe Registered under JAMES FOY PLUMBING LTDs Gas Safe Registration Number. 16. We reserve the right to collect unpaid debts using a Debt Collection Agency, Daniels Silverman.